Benchmark indices settled in the negative territory on Wednesday after hitting lifetime highs in the intra-day trade, primarily owing to profit taking in the recent outperformers. A rise in crude oil prices and Skymet's forecast of below normal monsoon in 2019 also dampened the sentiment to an extent. 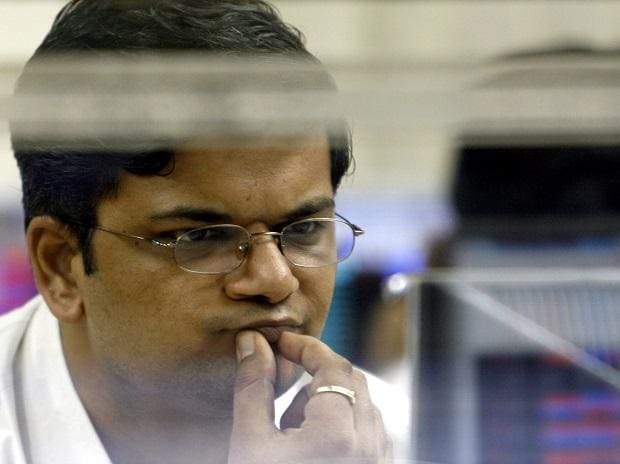 The S&P BSE Sensex shed 180 points or 0.46 per cent to settle at 38,877. RIL, L&T, ICICI Bank and SBI contributed the most to the index's decline. Out of 30 components, 24 scrips ended in the red. The Nifty50 index of the National Stock Exchange (NSE) ended below 11,650 level at 11,644, down 69 points or 0.59 per cent. All the sectoral indices on the exchange ended in the red, with PSU banks taking the biggest knock, followed by media and pharma counters. In the broader market, the S&P BSE MidCap index ended 120 points or 0.77 per cent lower at 15,434, while the S&P BSE SmallCap index closed the day at 14,986, down 131 points or 0.87 per cent. Market breadth remained in favour of declines as out of 2,760 companies traded on BSE, 1,592 declined and 1,008 advanced while 160 scrips remained unchanged. As many as 60 securities hit 52-week high on BSE while 77 fell to their one-tear low. Shares of Amara Raja Batteries slipped nearly 7 per cent to Rs 672 on the BSE after the company terminated shareholders agreement between Galla Family and Johnson Controls (JC) and consequent termination of other agreements entered by the Company with JC. Shares of Muthoot Finance hit a new high of Rs 631, up 2.4 per cent on the BSE in the intra-day trade, after the company announced its board will meet on Friday, April 5, 2019, to consider interim dividend. The stock, however, erased its gains in the later part of the day to settle at Rs 610.50, down 1 per cent. FMCG firm Marico gained 4 per cent in the intra-day trade on the hopes of improved operating margin in the March quarter (Q4FY19). Shares ended at Rs 355, up over 2.50 per cent. Asian peers scaled 7-month highs after White House economic adviser Larry Kudlow said that Washington expects “to make more headway” in trade talks between the US and China this week. MSCI’s broadest index of Asia-Pacific shares outside Japan was up 0.22 per cent.